It’s been a bit quiet on the blog front recently. I’ve been on my travels again and had family to stay, too, so I’ve had a wonderful time showing them around London – one of my absolute favourite things. 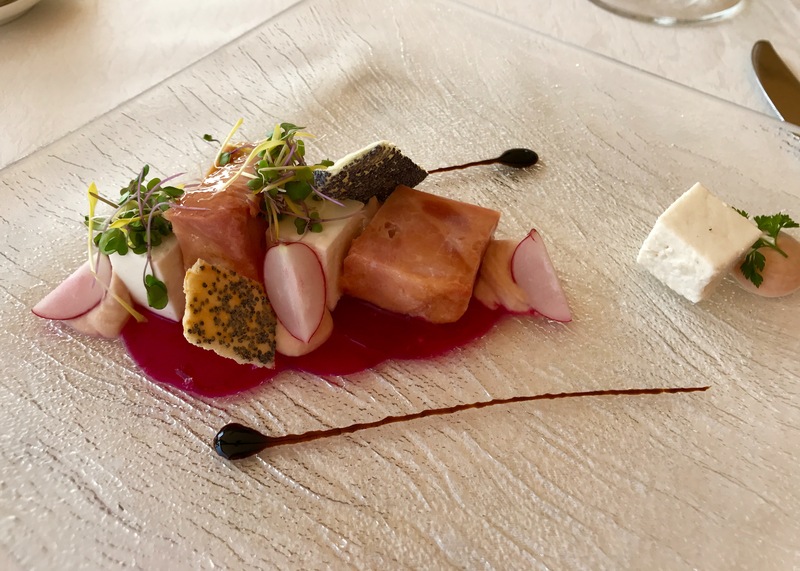 Well I’m back on the blog at last and today I’m taking you to a fabulous restaurant in beautiful Prague. 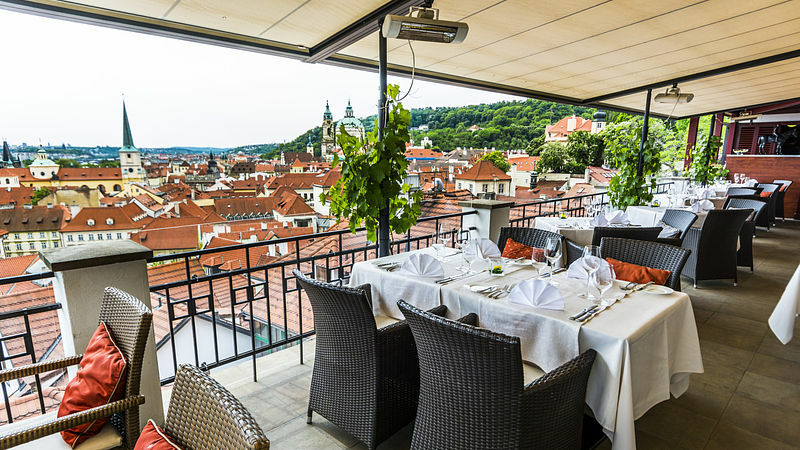 Terasa u Zlate Studne is set on high just below the majestic Prague Castle, the stylish eatery is on the fourth floor of the Golden Well Hotel with a terrace looking over the characteristic red rooftops of Prague. Lunchtime spots really don’t get more perfect – it’s the sort of place where the happiness washes over you before you even sit at your beautifully laid table. And then there’s the food. The menu is so exciting to read and when the dishes arrive, they look like works of art. And they taste even better than they look. Seriously. I started with traditional Prague ham served with fine horseradish mousse and beetroot slices. Never has a plate of ham looked so exotic. 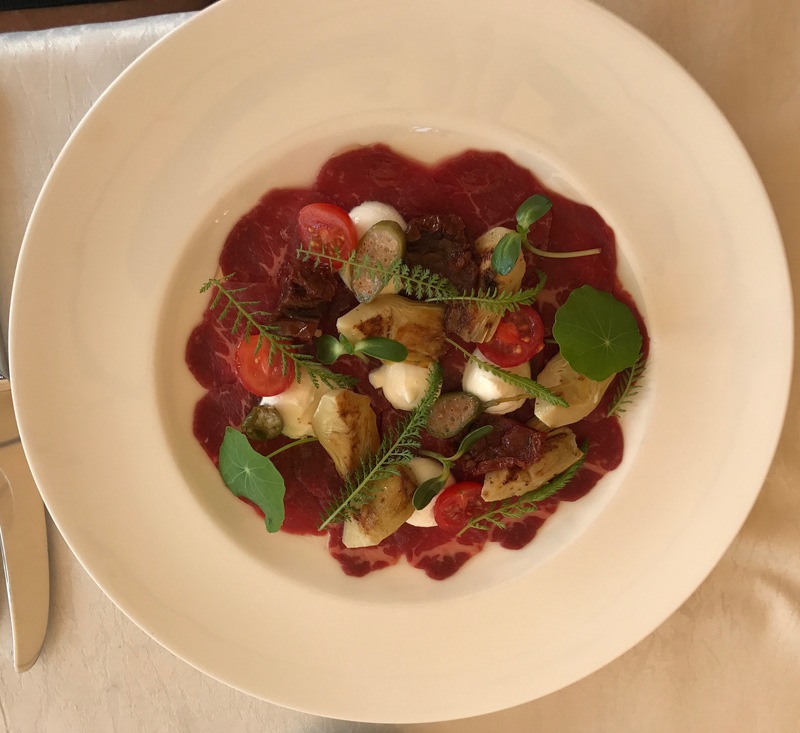 The tasty little chunks of meat were perfectly matched with the crunch of the beetroot and radish and the bite of the horseradish. 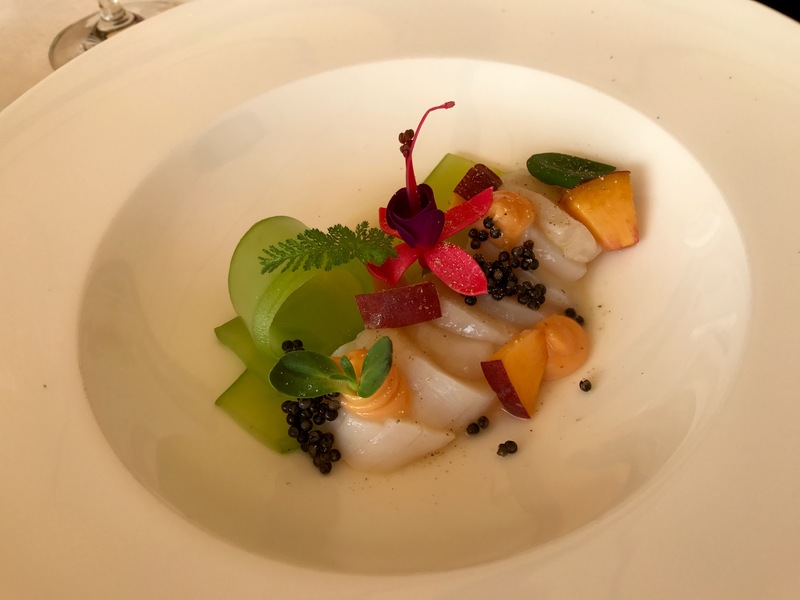 The scallop ceviche was served atop marinated cucumber with peach curb, peaches and a dollop of black caviar assetra. The freshest of fish that melted in the mouth, rounded off with tasty peach flavours and a salty caviar touch. 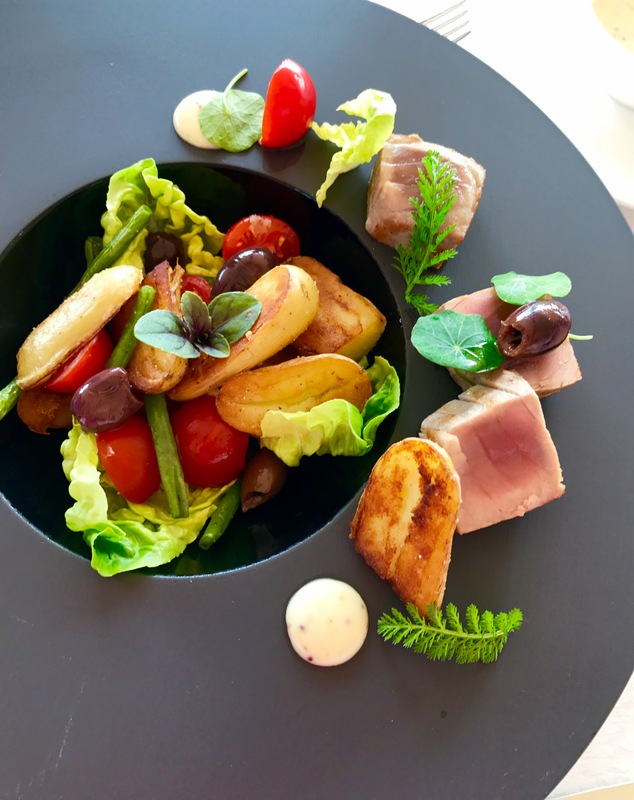 The salad nicoise was made with yellow fin Ahi tuna slices and served with juicy black olives, boiled egg, tomato, crisp lettuce and roasted La Ratte potatoes. A classic salad transformed into a magical plate. The rich redness of the carpaccio came with creamy foam from ricotta cheese, spring vegetables and lime cucumber jelly. 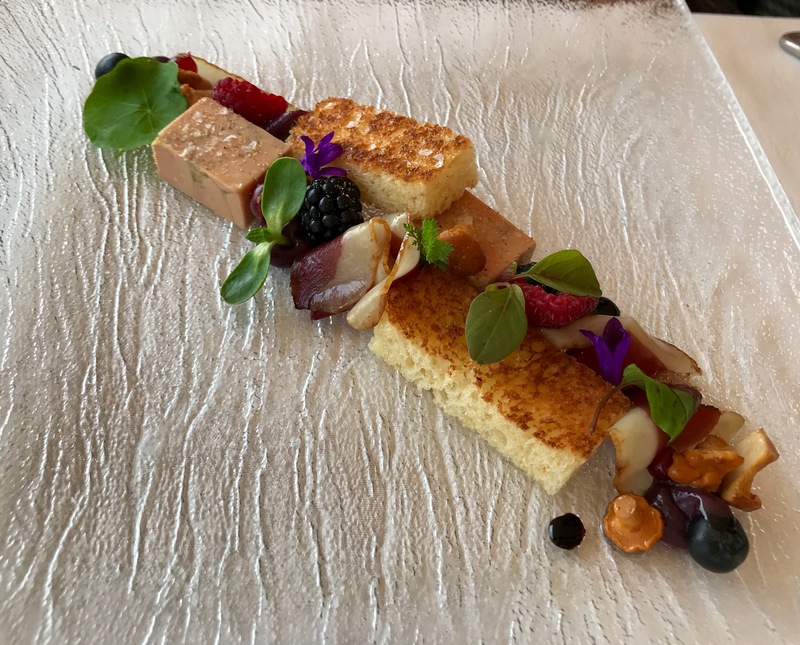 Duck liver terrine of foie gras was served with wonderfully luscious smoked duck breast, marinated chanterelles and wild berries curd. A real indulgent dish served beautifully displayed…again. 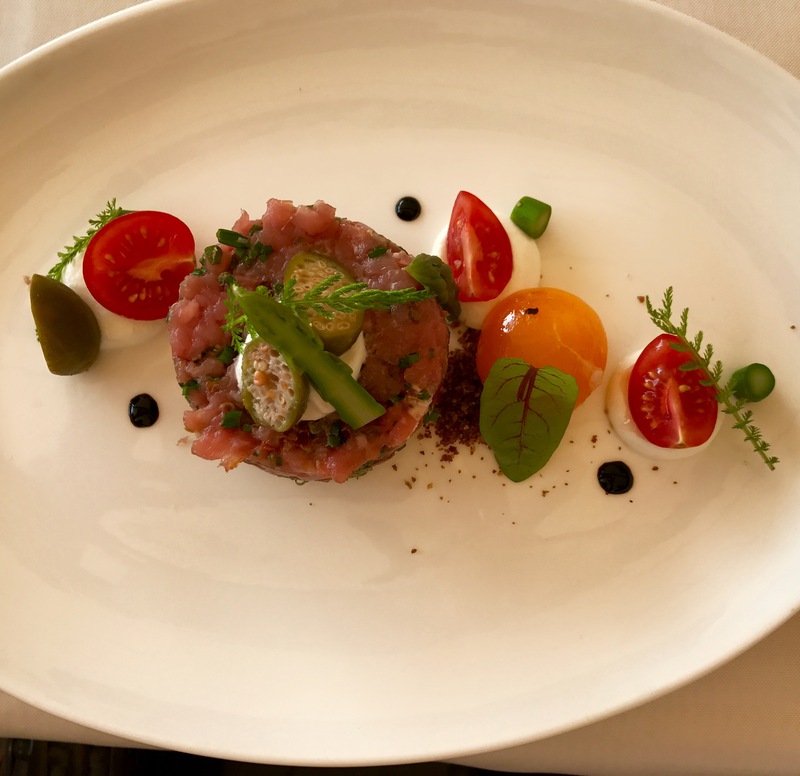 Tartar from milk-fed veal was stuffed with goat cheese and accompanied with wild caper and sundried Sicilian tomatoes and a glass egg yolk. A riot of colours and flavours. The best array of starters I’ve seen for a very long time – everyone was totally delighted with their choices. And boy were we excited to tuck into our mains. The signature meal was too good to resist. 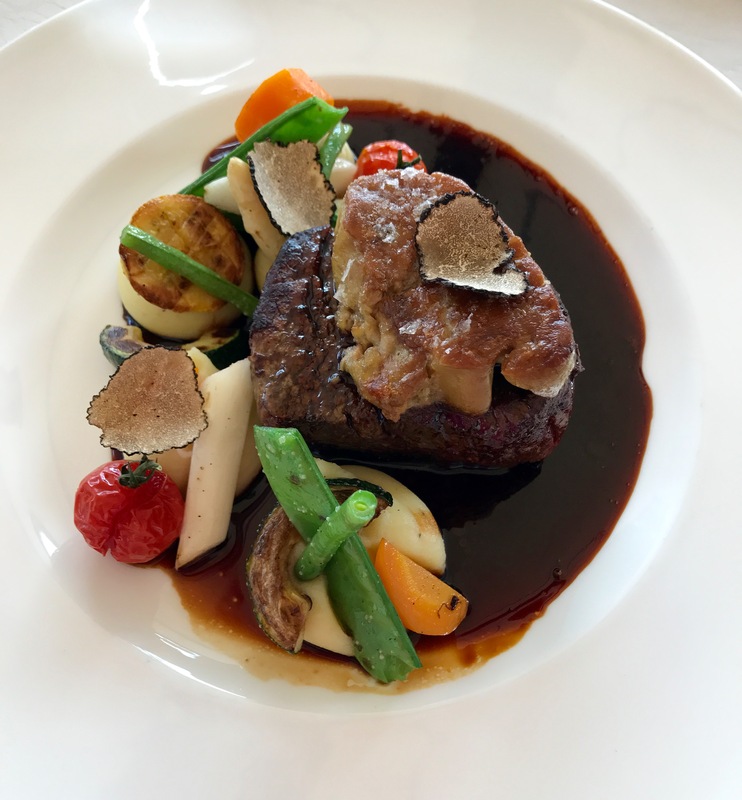 A generous portion of Royal steak from Argentinian breed Angus was served topped with foie gras, asparagus and baby vegetables on a bed of velvety potato puree with truffles from Piemonte and a Baron Philippe de Rothschild Sauternes Sauce. Wow what a treat – beautifully truffle-y and satisfyingly rich. 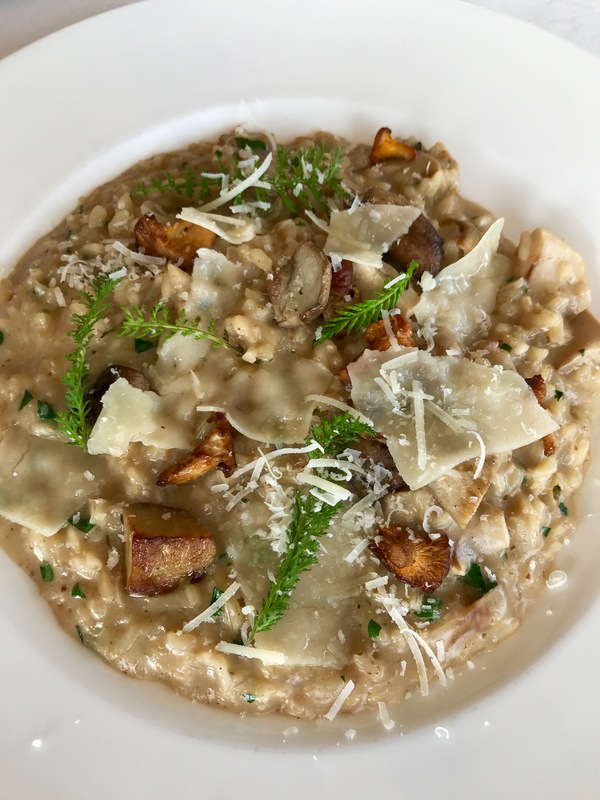 The earthy wild mushroom risotto was a satisfyingly creamy dish. I ordered my main course off the starters section as it sounded too good to resist – and what a good decision it turned out to be. The trio of tuna came beautifully presented in six different sections, just to make it easy to know what goes with what. The tartar was topped with a poached quail egg and served with cress, the stunning tataki with white radish and the skewer with teriyaki sauce and pungent wasabi. 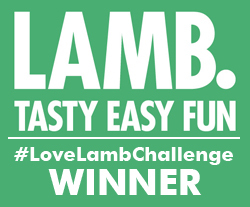 This could be my favourite dish of the year, which is saying something – I’ve sample plenty! And here’s the terrace overlooking the red rooves of Prague. A nicer spot for lunch is hard to find. Terasa u Zlate Studne is not the place for a cheap lunch, but it’s certainly good value as the cuisine is fabulous. We paid £390 for a lunch for six which included pre-lunch drinks, two courses and two bottles of wine. Of that the Signature Meal cost £47. A real treat to have. Terasa u Zlate Studne is at U Zlate Studne 166/4, 11800, Prague, Czech Republic.